What should I expect when visiting Emmaus the first time? You should expect to find a friendly, multi-generational community eager to welcome you, just as you are. 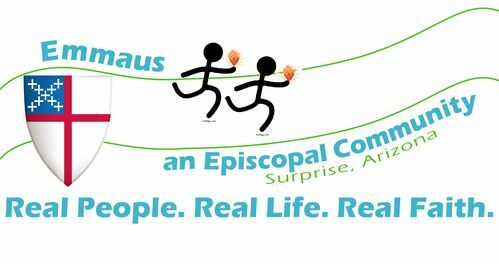 Emmaus is a growing multi-generational Episcopal community. We began at the request of teenagers, who approached Rev. Emilie and Deb with the request that there "should be an Episcopal church in Surprise." Today, you will find a multi-generational community that gathers with this core group of (now) young adults. To their ranks we have added younger children, parents, grandparents, and great grandparents. We invite you to click here to learn more about Emmaus, our leadership, and how we began. We meet in a home chapel. While our outreach ministries serve a congregation of nearly 70, our Sunday worship is small, and meets in a home chapel. When you arrive in a neighborhood, know that you are in the right place. During all published service and event times, the front door remains unlocked and we invite you to please walk right in. The door will open into the chapel. Or, please feel free to call or text Deb at (623) 340-7474 as you approach the house and we'll be most happy to meet you outside and lead the way! We invite you to come as you are. Whether you decide to dress in "Sunday best" or find that comfy jeans make you feel more at home, you are welcome. Our service is traditional with a twist. We are, after all, Episcopalians. We love our liturgy and have adapted it only slightly to fit the surroundings. Still, our altar is a donated dresser and our music currently comes courtesy of an iPhone (musicians would be a most welcome addition!). Expect a traditional Sunday service, with the informality a modern, growing community needs to feel at home. Join us too, for special events that resound with an echo closer to first century life than the era of great cathedrals. Please let us know if you have any questions! Thank you for taking the time to learn more about us. We hope you will give us the opportunity to learn more about you!